When I started working at an architecture firm, I thought that I was the only one who graduated with a substantial amount of student loans. However, as I got to know my co-workers, I asked some of them for advice on finances and their opinion on paying back student loans. Specifically, I asked whether or not they thought my student loans should be my highest priority. During our conversations, I quickly learned that a majority of my co-workers, including those who graduated 15 to 20 years ago, are paying their student loans off to this day. That’s when I realized that most professionals have student loans. After some simple research, I found that in 2015 and onward, young professionals are graduating with a substantial amount of student loans ranging from $30,000 with an undergraduate degree to over $50,000 with a graduate degree and over $90,000 with a terminal degree. So, I realized that I wasn’t the only one with a substantial amount of student loans. My colleagues who are in my age group had just about the same amount of student loans as I did and some had a lot more. Even my colleagues from the older age groups are still repaying their student loans because it’s not their priority. If you think you’re in a bad situation with your student loans, don’t worry. Everyone else is in a similar financial situation. While researching student loans, I discovered a frightening fact. People who take loans to purchase a car, home, boat, or anything else that cost a larger sum of money are able to claim bankruptcy on these loans and move on with their lives. Although their lives are affected by being bankrupt, they are most likely cleared from these loans after all is said and done. However, student loans are one of the only loans that do not go away if one were to file bankruptcy. This means that no matter what your financial situation, you’ll have to eventually pay back these student loans. If you choose not to pay the loans, interest will continue to accumulate and it’ll affect your life in negative ways. Although student loans might not seem as important to pay off as a mortgage or a car, they will stay with you until you’ve paid off the debt. When I graduated with my Masters of Architecture degree, I read through the email from the federal loan organization telling me about my 6 month grace period. In that email, there was a link that brought me to an online workbook to figure out the best option for paying off my student loans. After going through the online session, I was given several options that every young professional with student loans have seen. Personally, I chose the 10 year payback option where the federal loan organization calculated the monthly payments that I would have to make in order to completely payoff my loan AND accumulated interest within that timeframe. Although I chose the 10 year payback option, I physically and mentally prepared myself to payback all of my student loans within a 5 year timeframe because I couldn’t deal with the emotional stress of knowing that I owe a substantial sum of money. Now, I understand that everyone has their own perspective on their payback period for student loans and I’ve met people from all ends of the spectrum. First, there are people who can’t afford any other option or don’t want to think about their student loans who choose the income based payment method. This option adjusts monthly payment amounts on your student loans based on your income. As you earn more, the amount increases and vice versa. Second, there are people who prefer to pay a set amount of money for a specific duration of time. People with this mindset often choose to pay their loans within a 10 year period, which is automatically calculated by the loaning agency. Third and last are the people who have both a mental and physical reaction towards the thought of their student loans and want to pay it off as quickly as possible. Although they may choose the shortest payback option, they will also put any additional money towards their loans to pay them off as quickly as possible. No matter where you are in the spectrum, find the option that is most comfortable to you and start paying off your student loans. As time goes on, you’ll grow in your profession and your ideal lifestyle will evolve. These growths will inform your loan payment plans and either expedite them or slow them down to adjust to your life. Compared to people from older generations who were able to attend college in America in the 60’s and 70’s who graduated with little to no debt, most young professionals today start their lives with a negative net worth. This makes it difficult for young professionals to develop a strong savings account for any future endeavors like traveling the world, starting a business, or donating to a good cause. Let’s put this in perspective through a personal story. From the moment I received my official diploma, I was faced with a monthly student loan payment that took 30% of my income. In addition, I paid another 35% of my monthly income for my very small apartment and 10% on my financed used car. Totaling these recurring payments, 75% of my monthly income was taken away by these debts and I was left with 25% to put towards food, gas, phone, internet, and other essential items for living. By the end of every month, I had about 5% of my paycheck and I had to choose between putting it into my savings account, eating dinner at a restaurant, or spending time with my friends. I chose to save the money and start building a rainy day account, which is one of the best decisions that I’ve made with my finances. You’ll hear more about this in the next piece of advice. As a young professional, you may be facing a similar situation where you find yourself at the end of the month holding 5% to 20% of your total income in your hands and wondering what you should do. While others around you talk about having a strong 401k account, being debt free, traveling across the globe on vacation with their spouse and children, going on a 2 week luxury cruise to the Bahamas, you’ll feel as if you’re so far behind them in terms of your finances. All I can say is, don’t worry. We’ll always look at what someone else has and wonder why we don’t have those things as well. Just remember that life is a long term game and the outcome is dependent on the decisions that you make with your finances, career, lifestyle, and other personal endeavors. You’ll eventually get to a point in your life where you’re content with your lifestyle and happy about where you are in life. Eventually, you’ll find a financial routine and path that sets you up for long-term success and catch up to everyone that you admire. A few months after I started working full time at an architecture firm, I remember talking to my mother on my way back to my apartment and listening to her tell me about my father who wasn’t feeling well. He was on vacation in Vietnam with his friends and started feeling ill about two weeks into his one month adventure. Upon returning from his vacation, his hair had become white and he lost a substantial amount of weight. To say the least, he was bone thin and barely recognizable. One month after he returned, my brother drove him to a local hospital to get checked out at the emergency room. After that night, my brother let all of my siblings and I know that he was in the final stages of cancer and that there was nothing they could do to help. We had 2 months to spend with my father before he passed away. To make a long story short, we came together as a family and spent time with my father in his remaining days. As a first generation immigrant family with very little wealth, my father didn’t have any life insurance policies or savings accounts to distribute to his immediate family. My siblings and I decided to work together and combine our money to give my father a proper wake and cremation, which was his wish. Ultimately, this was a substantial amount of money for us and I was fortunate to have had a part-time job as an adjunct professor while working full-time as a young architect. Every month, I would put money aside in my savings account until it reached an amount that would allow me to live without any source of income for 3 months or to pay for any unexpected events such as this medical emergency. Even with an event as substantial as my father’s passing, I would’ve been able to cover all of the expenses if my siblings weren’t able to contribute. Fortunately, they were all in a position to contribute to an equal portion of the expenses and we were able to provide my father with a proper wake and cremation. Always have a rainy day account where you put aside a portion of your income until it reaches an amount that would be able to cover your living expenses for 3 months or for unexpected events. Whether you have a medical need, family emergency, or lose your employment, you’ll be able to stay afloat for the time being and plan your next steps without worrying about making your payments. As soon as I started working full-time at the architecture firm, I was also offered a teaching position as an adjunct professor at the school of architecture that I attended. With the blessing of the partners at the architecture firm, I began my career as a young architect with two jobs that I love. This also meant that my income would increase by about 20%, which would allow me to either put more money towards my debts or my rainy day account. I decided to split the difference and put half of my additional income towards my loans and the other half in my rainy day account. This helped me gain more peace of mind because I was able to get to my rainy day amount in a shorter period of time, but also see faster progress on paying back my student loans. After a year of this arrangement, I decided to stick to the full-time job and focus on passing all of my exams to become a licensed architect. With the extra time on my hands, I decided to start a blog, which evolved to Journey of an Architect, and get involved with local organizations. Two of these organizations are the American Institute of Architects (AIA) Diversity Committee in Buffalo and Western New York and the AIA Emerging Professionals Committee. As I started getting more involved in these committees, my network continued to expand. I met a lot of young architects who were in the same age group as me and I also had more opportunities to interact with established architects who shared an interest in equal opportunities for women and architects of color in the profession. By getting involved in extracurricular activities, you’ll be able to expand your network of friends and professionals in your community. This network will help you grow in your career and evolve your lifestyle in so many ways! Your professional network can be a group of mentors, study partners for licensure and registration exams, future job searches, and potential clients if you decide to start a business. After a year of working at the architecture firm, I had several raises in my salary which allowed me to maintain my salary after I stopped teaching at the university. I continued my extra payments towards my student loans and put the remainder of my income into my savings account. Once my savings account reached a certain amount, I made a larger payment towards my student loans and brought my savings account back down to the rainy day amount. One day, I thought about my future and the potential lifestyle that I wanted to have when I was older. These thoughts led to reminiscing about my days in architecture school when I studied abroad and immersed myself in different cultures for 3 summers. Then, I reviewed my finances and came to the conclusion that I just didn’t have enough money to travel and continue exploring the world. I simply had to keep working until I paid off all of my debt. However, I decided to reexamine my lifestyle at the time and questioned whether or not I could put a little less money towards my debts and more towards my savings account. Then, I thought about another life goal of mine which was to buy a house. Every month, I would put a little less money towards my student loans and more into my savings account. By the end of the year, I saved enough money to purchase my first home! Although my goal of paying off my student loans as soon as possible was at the forefront of every decision that I made, I realized that I was getting obsessed with this goal. In fact, it started plaguing me and I was starting to feel as if my life were being controlled. It was as if I woke up every day, worked hard at the architecture office, came home, and gave all of the fruits of my labor to someone else. Thus, my decision to rebalance my budget and put a little more money towards other goals and aspirations made me happier. It made me feel as if my hard work could help me accomplish other major goals in my life. Best of all, I learned the most important financial lesson which is to always have a clear budget. From the moment that I committed to my goal of purchasing a house within a year, I started laying the foundation for achieving this goal. My first step was to breakdown 1 year into increments and assess determine the months that I knew I had monetary obligations. Every 6 months, I knew I had to pay a substantial amount of money towards my car insurance. I had monthly rent, utilities, food, student loans, and my car payments. After identifying the recurring payments, I subtracted them from my monthly income and determined the highest amount that I could possibly set aside in my savings account to purchase my house. Then, it was time to put this budget into action and see if it would be possible to live frugally and save enough money to make a down payment towards a house. During the first month, I realized that I missed some miscellaneous items in my budget like gas for my car, occasionally going out for lunch or dinner, and traveling to New York City to see my family. So I readjusted my budget and stuck to it for the next 11 months. By the 12th month, I was able to set aside a little more than I expected and I discovered a not for profit home buying organization that changed my monetary commitment for purchasing my first home. This organization called the Neighborhood Assistance Corporation of America (NACA) allows first time home buyers to purchase a home with no down payment and no post mortgage insurance with a very good interest rate. Thus, the amount of money that I was able to save could’ve been used for anything. I decided to put a portion of it as a down payment towards my house and the remainder into the interior renovations of my home. Planning ahead and setting up a budget that you commit to will allow you to reach the goals that you’ve set. Having clarity in the path that you need to take and reasons for budgeting your spending will make the process so much easier. Whether it’s going on vacation, traveling to a different part of the world, buying a house, or starting a business, having a budget will make these dreams a reality. As a young professional, I often feel like I’m behind everyone else at my office in terms of experience and my finances. There’s no doubt in my mind that my colleagues with over a decade or more of professional experience know more than I do about completing an architecture project. However, I’m also starting to realize that I’m financially ahead of some of my colleagues who are older than I am, but have more debt. Your colleagues at your workplace are at a different financial place in their lives that are controlled by the decisions that they’ve made for their lifestyle. 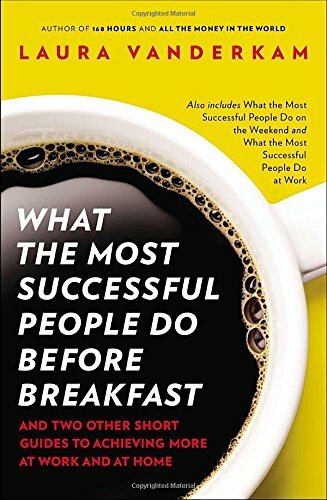 Some people focus on starting a family and raising children and others want to purchase a large house or a luxurious car. The older people in the office are focusing on something entirely different; retirement. Everyone is working towards attaining a certain lifestyle that they desire. Whether that’s having a family, buying a boat, sports car, house, or eventually retiring, the outcomes will be different. Figure out the lifestyle that you envision having and work towards it. Maybe you want to be a dog or cat owner or you want to buy a brand new car. Perhaps your biggest goal is to be financially free and pay off all of your debts! Rather than dwelling on what others have, focus on getting the things that will help you achieve the lifestyle of your dreams. Nothing feels better than setting life goals and checking them off of your list! 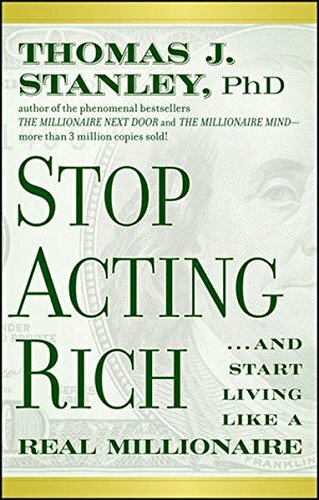 Three years after working full-time as an architect, I began reading more books on finances to learn about potential ways of attaining greater wealth. 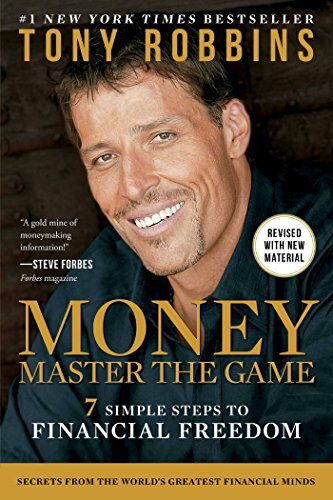 One of these books is called Money Master the Game by Tony Robbins, which was one of the largest books that I’ve ever read – about 600 pages. 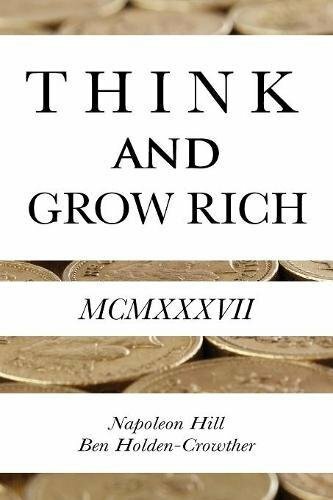 As I made my way through each chapter, I learned so much about carefully investing my money as well as an investment plan that has been tried and true. 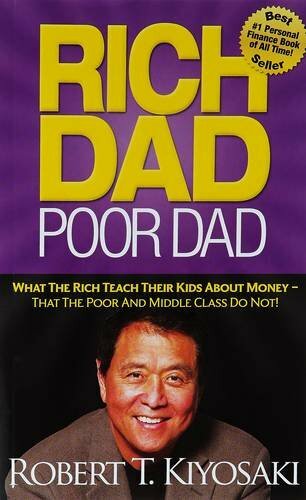 After reading this book, I started focusing on attaining financial freedom, which is covered in an entire chapter, and went back on my budget to pay off my debts as soon as possible. Here, the thought is that if I pay off my student loans, car loan, and mortgage, my annual expenses will be drastically reduced. This will allow me to save, invest, and grow my money or work towards other goals like starting a business. 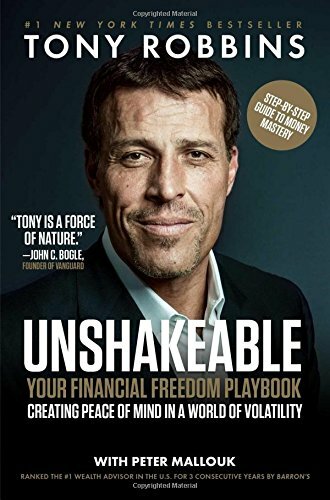 I highly recommend picking up a copy of some of the financial books linked below and defining what financial freedom means to you. More importantly, brainstorm the possibilities you’ll have and the adventures you can pursue if you weren’t bound by debt. Ultimately, our lifestyles will be our primary motivation for committing to any budget that we create for ourselves. Some people aren’t concerned with their debts and live their lives to the fullest by traveling the world and paying their bills from paycheck to paycheck. Others despise their debts and focus all of their income on quickly paying off their debts. Personally, I’m driven by financial freedom and the thought of endless possibilities with my finances after being free from my debts. My advice to you is to define what financial freedom means to you and live the lifestyle that you truly want to live. Don’t wait to plan your future. Do it now and live it!